Mayer Landscape is a small outfit landscape contracting company that operates out of the northern suburbs of Atlanta. 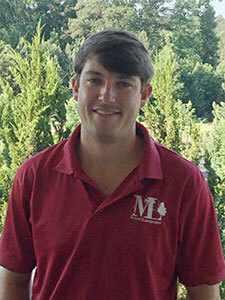 Mayer Landscape was founded by Kyle and Jim Mayer in January of 2009. Mayer Landscape is capable of providing a wide range of landscaping services to properties ranging in size from small private residences to large commercial jobs. We offer landscape construction services to the entire state of Georgia and limit our landscape maintenance crews to the northern suburbs of Atlanta. We believe our small size, loyal customer relationships and unmatched attention to detail is what sets our company apart from the competition. Our Mission is to make the ideas of our clients and ourselves a reality by using the most modern methods and products available to our industry. To encourage overcoming challenges through a logical, creative and environmentally conscious manor. To grow as a person and as a company with trust, loyalty, ambition and reward. To establish long lasting relationships that will benefit the end user and today’s society as a whole. 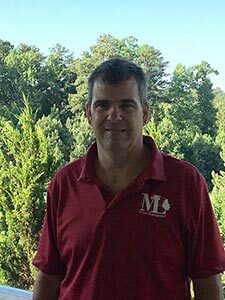 His background includes over 14 years in the landscaping industry. He holds a Bachelor’s degree in Horticulture from the University of Georgia. Kyle is also a certified FNGLA horticultural professional. Kyle completed his internship at some of the United States most diverse landscapes at SeaWorld Entertainment in Orlando Fl. Kyle is a true believer in achieving goals through honesty, loyalty and creativity. Jim manages the landscape maintenance side of the company as well as the financial and billing activities. Jim has over 12 years’ experience in the landscape industry and 15 years’ experience in the construction industry. Porth’s Background includes over 15 years in the landscaping industry. Porth holds a bachelor’s degree in horticulture from Clemson University. Porth was raised tending to his Father’s plant nursery and contributed as a grower/project manager. 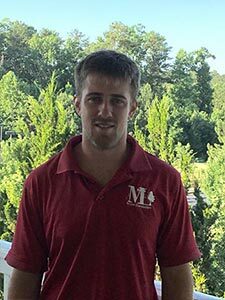 Porth completed his internship at the Cliffs Communities golf courses where he not only assisted in constructing the Mountain Park course, but maintained the Keowee Springs course as well. Porth believes in creating relationships not only with the customer but with the landscapes as well.